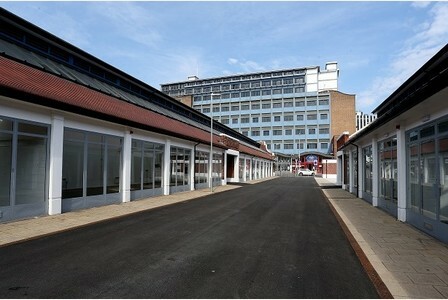 IN PICTURE: A view of Sneinton Market. Sneinton Market, which opened in October after investment from the city council and EU, has only filled 3 of its 43 shops. Getting official figures/statement from city council but can we send someone down to speak to traders etc. for their view. Also worth calling Wendy Honeyman-Smith (Sneinton Neighbourhood Forum) on 07793 389 323 for her view. Market runs Saturdays and Mondays 8.30am to 13.30.